As part of the European Commission’s Horizon 2020 work program, the Repro-light project (Re-usable and re-configurable parts for sustainable LED based lighting systems), aspires to successfully initiate a transformation in the European LED lighting industry, by creating the ‘Luminaire of the Future’. The Repro-light project will harness innovative technologies and materials to implement a never attempted before modular luminaire architecture, a smart production scheme and also the development of a reconfigurable customised LED luminaires, the ‘Luminaire of the Future’. The Repro-light Program supports Transformation of the Lighting Industry to enable Luminaire of the Future Fabrication. 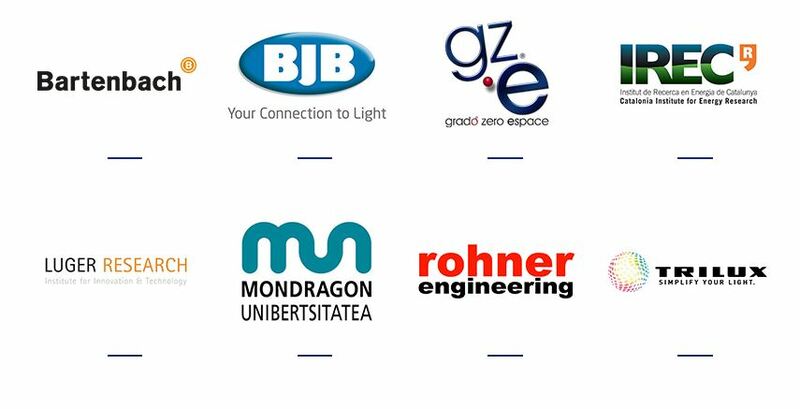 The consortium is made up of European leading experts including TRILUX, a driving force of the European lighting industry, manufacturers including BJB, Ground Zero, and Rohner Engineering, innovative members of the lighting industry Bartenbach and Luger Research, as well as experts on lighting sustainability and Life Cycle Assessment IREC and Mondragon University who are prominent in Social Sciences. The need for projects like Repro-light has been highlighted in several recent white papers, including “Serviceable Luminaires in a Circular Economy” published by The European Lighting Association. This white paper highlights the value of a circular economy, and it is just such an economy the ‘Luminaire of the Future’ is design to be part of. To sign up for updates on the project, and for more information about Repro-Light please visit the website.